The brand has released couple of budget segment smartphones recently and the Hot 6 Pro is recently launched one. This device is coming with two variants and few different colors. Infinix has already established the market in few countries including India. The brand produces quality smartphones with affordable price. 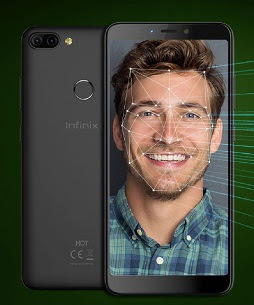 Anyhow, if you are looking for Infinix Hot 6 Pro smartphone key features, technical specification, review and price detail etc. then you can find them over here. The phone is powered by Qualcomm Snapdragon 425 processor and coupled with 2GB or 3GB of RAM variants. It also comes with Adreno 308 GPU and the display of the phone is of 6 inches with 18:9 aspect ratio. The gadget runs with the latest Android Oreo operating system beside Hummingbird OS. The phone comes with 16GB or 32GB of internal storage beside expandable memory option via microSD card. Regarding camera of the phone, Infinix Hot 6 Pro comes with 13+2 megapixel dual rear and 5 megapixel front cam to give the best photo and video result. You may find Infinix Hot 6 Pro specs and price detail below. This could be one of the best smartphones available around even for gameplay. Tips: This is one of the cheap and best smartphones to grab and you may get the best deal around.